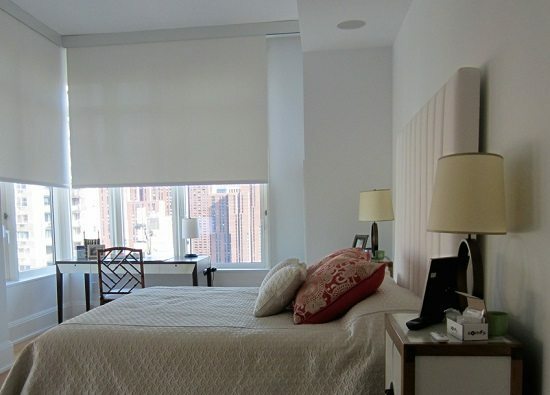 Having a high rise condo in NYC can give you the best views that take your breath away, and sometimes…your privacy. 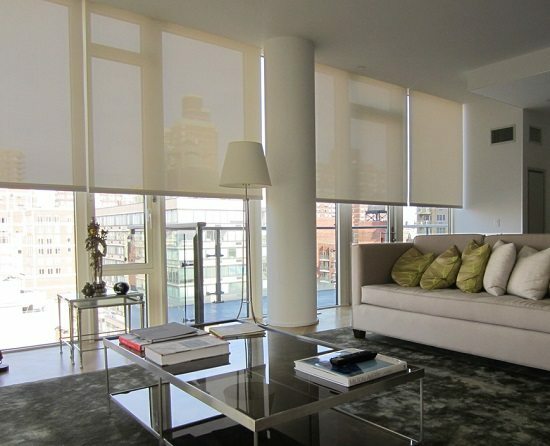 For this reason, our client did not want to move in until privacy was not an issue. 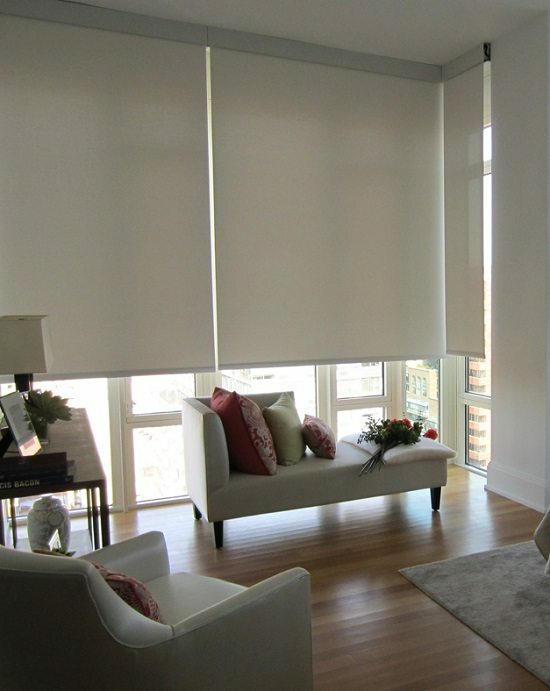 To make this condo comfortable for our client, we installed automated shades in the living room, dining area and kitchen and automated privacy shades in the bedrooms. 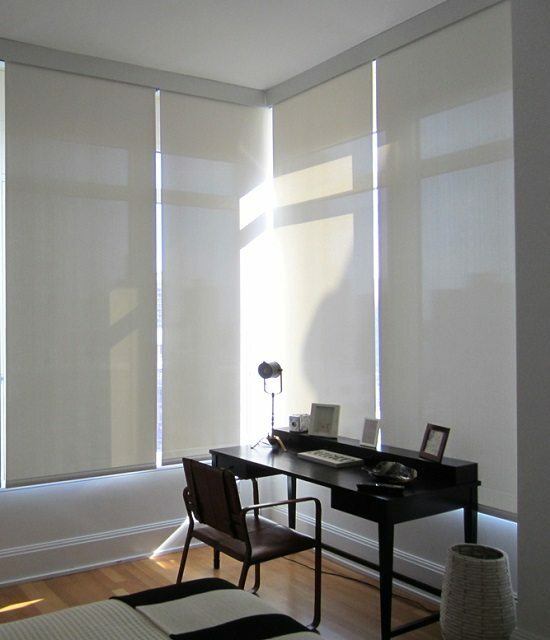 All shades were designed with Phifer Sheer-weave fabrics and Somfy motors. 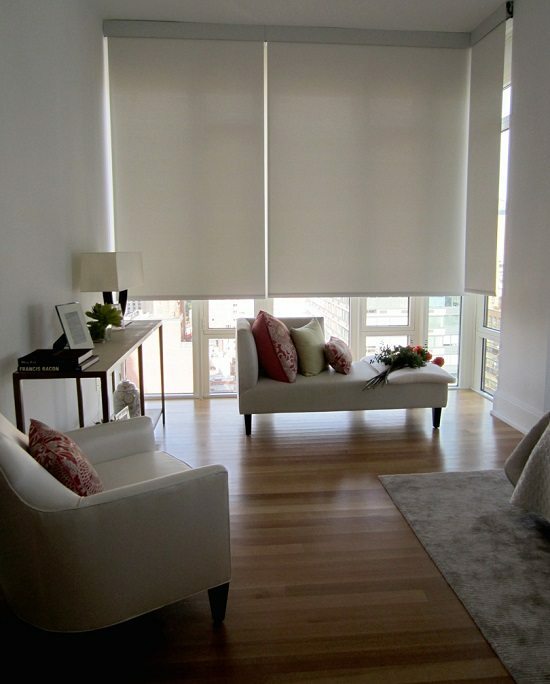 These Roller Shades can be controlled from anywhere in the home including the comfort of our client’s bed. 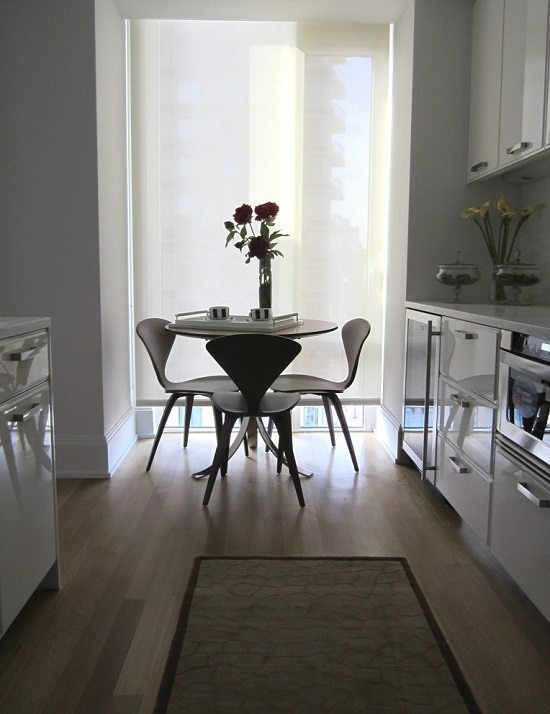 Allow us to make you space more homey with customer window treatments like these! Contact us for a free on-site consultation.